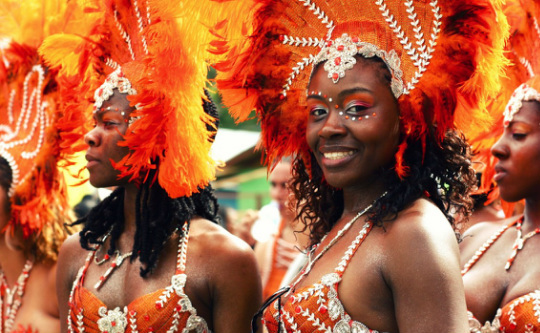 Make Trinidad & Tobago your next destination! Would you like to trek rain forest gorges to waterfalls and bathing pools? Would you kayak wetlands to watch the sunset bring flocks of thousands of Scarlet Ibis? Would you lay on a Caribbean beach in a bay pirates once had hide-out and eat rich West Indies curries and tropical fruits? Would seek close-ups rare hummingbirds, count the awkward parrots in their dusk flyovers or snorkel corral gardens? Discover two striking English-speaking Caribbean islands boasting rich South American natural history with diverse and convergent human history. Lying just off the coast of Venezuela, Trinidad boasts a combination of South American Natural History and Geography with Caribbean culture and charm. Trinidad’s relief is a combination of rugged rainforest covered mountain ranges, extended flatlands, and large wetlands in which there is an intricate network of trade and farmers' routes that have been in use since the days prior to Columbus’ arrival in 1498 by Amerindians. Glue it all together with calypso music, mouth watering local meals and warm local hospitality and you've got the perfect place for too much FUNNN!!! 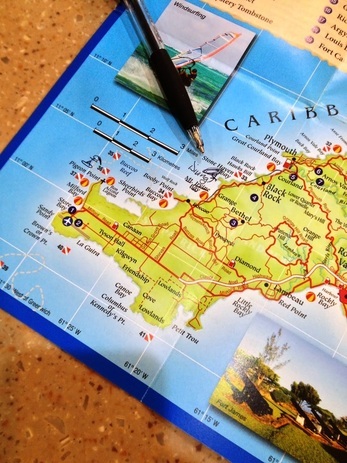 ​Hence Trinidad and Tobago is the perfect destination for eco tourism.